Wind of Death - A swing of the arm that unleashes a wave of black ki. Wrath of God – A black electric spark is thrown at the enemy, if it hits the enemy is shocked with ki, if it misses and hits something inorganic, it fires a dark purple beam out of the area where it missed. If it hits something organic, the organic material explodes. Wrath of Hades – Black and Purple flames of ki are unleashed through the hands. Background: Kenjiro was born to Zanjiro and Aiko both powerful members of the saiyan race. Though his mother was not like other saiyans as she didn't like to fight and wanted to keep Kenjiro from fighting. 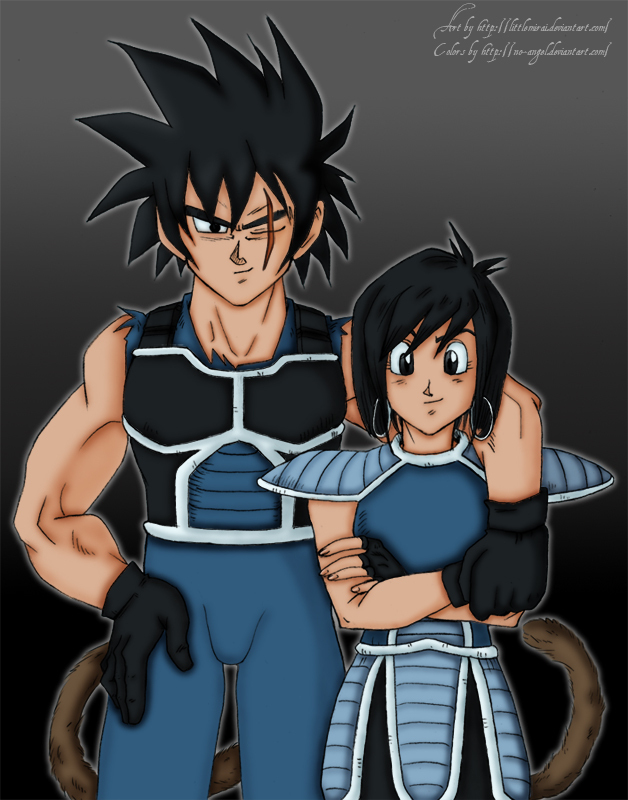 His father had other plans how ever he wished for a strong child to keep the family in high regards of the saiyan race. This conflict went on for most of Kenjiro's young life while the only one he found comfort in was his elder sister. Who did her best to shield him from their parent's fight over him. This fighting lasted until he was three when his father took him then killed his mother and sister when they attempted to stop him. Zanjiro trained Kenjiro to be a great warrior like Zanjiro him self. Not starting when Kenjiro was three but when he was five. As such he started to gain his fathers personality a cold and dismissive. This training continued until Kenjiro was thirteen and granted approval by his father of being 'battle ready'. Approved, and I ashamed of you guys for not getting his character app approved.